Many moms and dads choose baby names that they think sound the best, or that have a family connection. But others hope to find a name that has a truly special meaning, one that conveys a thought, feeling, circumstance or memory. Choosing a baby name by meaning can be a good source of inspiration as you pore over list after list. Where to start? 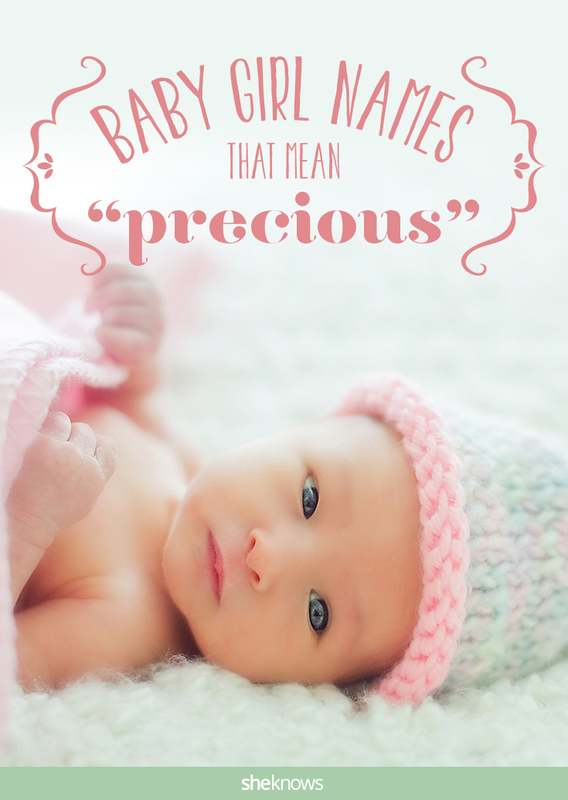 These baby names, which all mean “precious” or “blessed,” may be exactly what you’re looking for in a baby name for your little girl. These particular baby names are a perfect example of capturing a feeling in a name. Your baby-to-be is precious to you now, and will be even more so once she arrives. She will also be quite beloved — by you, by your family and by passers-by as you go about your daily routine. It’s only fitting, then, that you choose a name that will always remind you how precious she is to you. From names we’re familiar with like Aimee to more unusual choices like Caoimhe, perhaps you’ll find your favorite baby name here.